Run any Android Apps without installation. That is what Google promised on their last Google I/O developer’s conference on 2016. More like Facebook Instant Articles, the Instant Apps are intended to work the same. The user will not require to undertake a payload of Play Store installation, just like not requiring to open a separate web browser just to read some articles on Facebook. However, it also seems that these Instant Apps won’t be available for the public to play with yet. Selected users will get access to them for a limited time, and this is to test them to generate feedback for product iteration. The first companies who are selected to try out Instant Apps are Wish, Periscope, Viki and Buzzfeed, not the B&H which is used on Google I/O demonstration. That might mean we’re not able see their Instant App yet, which was used as the demo, at the conference. Other interested developers won’t be able to join this early access period, though they can apply here for the SDK’s release in the coming months. They’ll need to prepare their app beforehand, trimming it down for modular on-the-fly installation and complying with some Android 6.0 permissions. 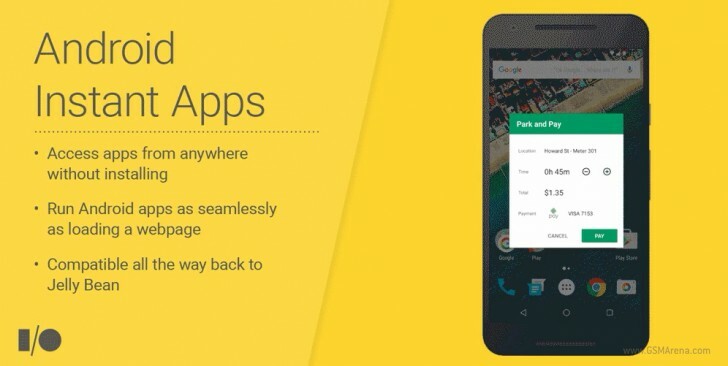 Hopefully then we’ll begin see a streamlined end to lengthy and data-crunching app store install processes, as Google foretold in its first Instant Apps presentation.